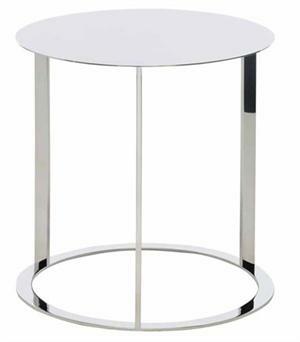 Vera End Table brings a simple yet incredible impression to your room. It features polished stainless steel and and will suit almost any imaginable color scheme. The ring at the bottom meets the disc-shaped table top by way of three beams. It's minimal yet full of life; truly an excellent piece.